Comment: wood siding on chimney needs to be replaced. Comment: Need to replace a small section of siding on garage, 20sft, and about 10sft on the side of the house, about 10 ft up off the ground. I have the matching replacement siding and paint. Comment: The existing wood siding is 40 years old and in bad need of replacement. Three sides are brick and just the top part of those sides will need replacement. The back and detached garage are all siding, and I will need new insulation installed as well as Tyvec. The house is 1838 sf with a two car detached garage. Comment: needs to repair stucco siding. Comment: House was built in 2004 with hardy siding. Insulation underneath was minimal/poor. I would like to install some better/thicker insulation boards underneath the hardy planks and then re-install the hardy boards. Comment: I need an estimate to have some siding repaire on my home. Tomball Siding Contractors are rated 4.69 out of 5 based on 3,703 reviews of 65 pros. 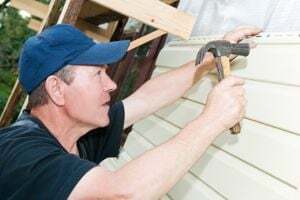 Not Looking for Siding Contractors in Tomball, TX?